16.8" x 17.9" stitched on 14 count. 13.1" x 13.9" stitched on 18 count. Chicago cross stitch pattern... 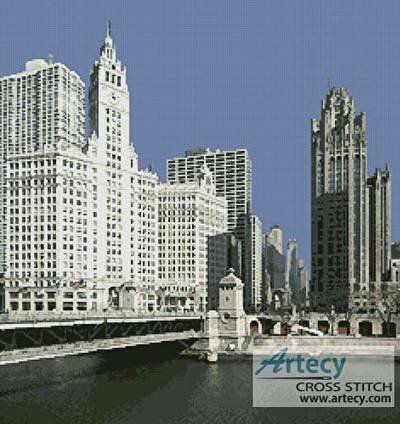 This counted cross stitch pattern is of the Michigan Avenue Bridge with the Tribune Tower and Wrigley Building at Chicago, USA. Only full cross stitches are used in this pattern.